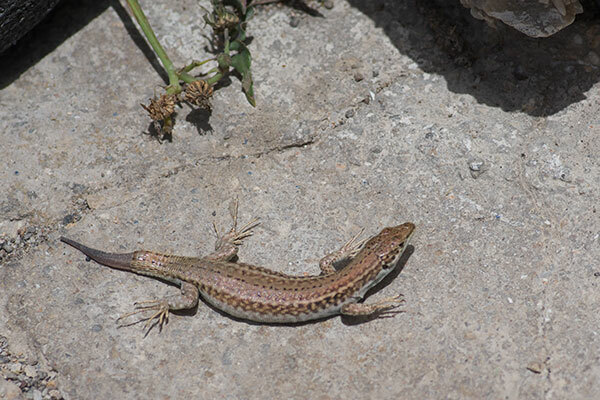 My first ever wall lizards (and indeed my first ever European lizards) were these two, which were basking in a small rock garden just outside of Santos Winery. We had just been in for a quick wine tasting and our tour group was reboarding the bus when I spotted these two. I had time only for a few quick photos without delaying our entire group and getting the stink eye from thirty-eight other people. 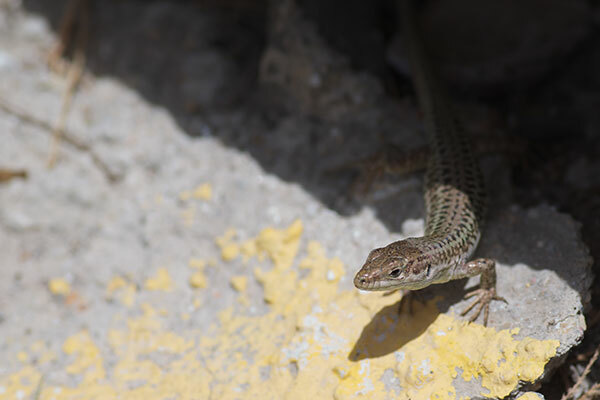 My second ever wall lizards were another pair of Podarcis erhardii. 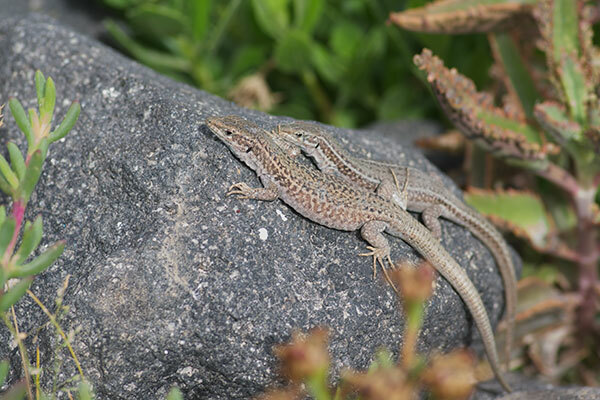 These also appeared to be a couple, though when spooked one of them hid under a trash can while the other hid very close by in a crevice in a stone wall. 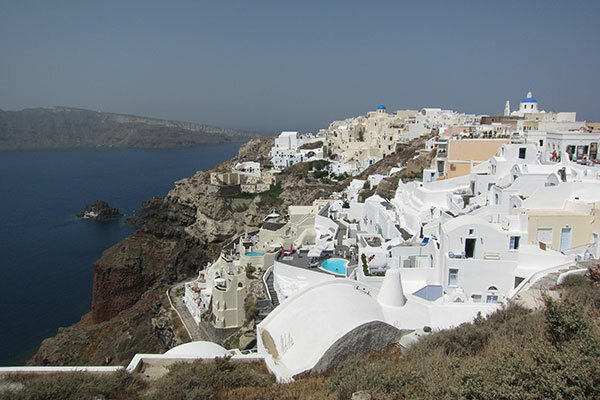 The village of Oia is a particularly postcard-worthy place to find wall lizards, by the way.